Tom Douglas is an Atlanta native born in the old St. Joseph Hospital downtown. Tom grew up in Buckhead, attended Morris Brandon Elementary and graduated from The Lovett School in 1971. After a brief stint at UGA, Tom finished his undergraduate work at Oglethorpe University and later received an MBA from Georgia State. Tom then embarked on a 13 year career in commercial real estate in Dallas, Texas, specializing in leasing and investment sales of retail and industrial properties for various firms. Ever since Tom attended the 1964 Beatles concert in Braves Stadium, he wanted to be a songwriter. A lifelong pianist, musician and lover of country music, Tom attended a songwriter seminar in Austin, TX in 1993, which forever changed his career direction. One of his earliest compositions, Little Rock, was picked up by a Nashville publisher/producer and became a number one hit and nominee for CMA Song of the Year in 1994. From there, Tom’s career path eventually led him and his family to Nashville USA. In 1998, Tom began writing a series of No. 1 hits, some in conjunction with others, for headliner country music artists such as Tim McGraw, Martina McBride and Lady Antebellum, as well as Miranda Lambert’s first Number 1 hit, “The House That Built Me”. 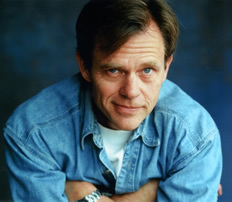 Tom’s songs have been featured in several major Hollywood films and have also been recorded by other country music greats such as Garth Brooks, George Straight, Keith Urban, Brooks & Dunn, Randy Travis, and Georgia’s own, Trisha Yearwood. Tom has won many awards for his works, including CMA Song of the Year and ACM’s Song of the Year and Single of the Year. He has also been nominated for an Oscar and a Golden Globe, as well as Grammy Songs of the Year and Country Songs of the Year. In 2014, Tom was inducted into Nashville’s Songwriters Hall of Fame.